Published By – Energy Production s.r.l. Phonographic Copyright (p) – Energy Production s.r.l. Copyright (c) – Ultra Records, Inc. Manufactured By – Ultra Records, Inc. Marketed By – Ultra Records, Inc. 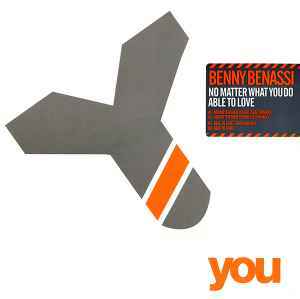 Distributed By – Ultra Records, Inc.
© 2004 Ultra Records, Inc. Manufactured, marketed and distributed in North America by Ultra Records, Inc.
Vinyl label contains the misprinted credit "M. Galli", while the sleeve correctly shows "D. Galli".